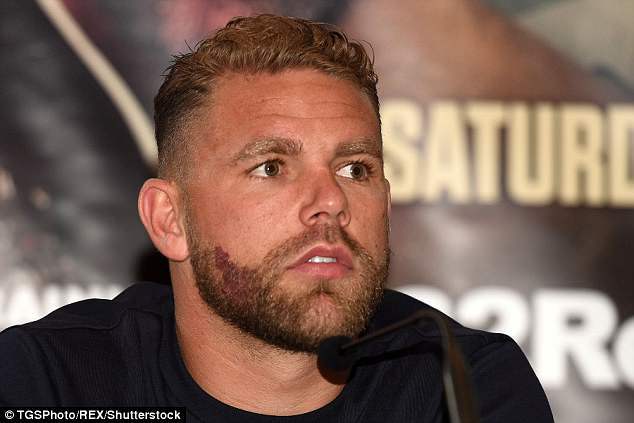 Billy Joe Saunders has branded Saul ‘Canelo’ Alvarez a ‘cheat’ and believes the Mexican should never box again. 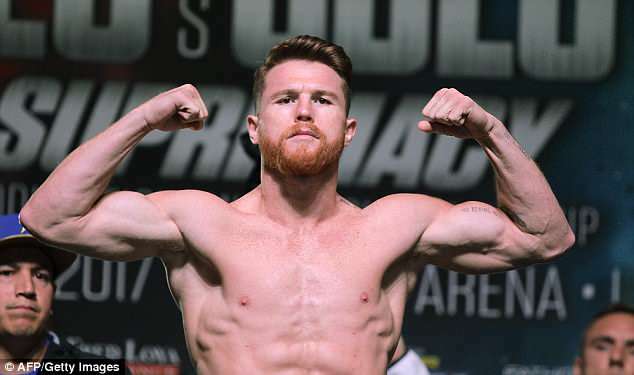 Alvarez, who had already withdrawn from his Las Vegas rematch with Gennady Golovkin, received a sixth-month ban last week having failed two drugs tests in February. WBO middleweight champion Saunders feels Alvarez’s reputation has been permanently tainted by the scandal and that his relatively short suspension is a ‘disgrace for boxing’. ‘I rated Canelo very highly but now he’s gone down in my estimations so much. 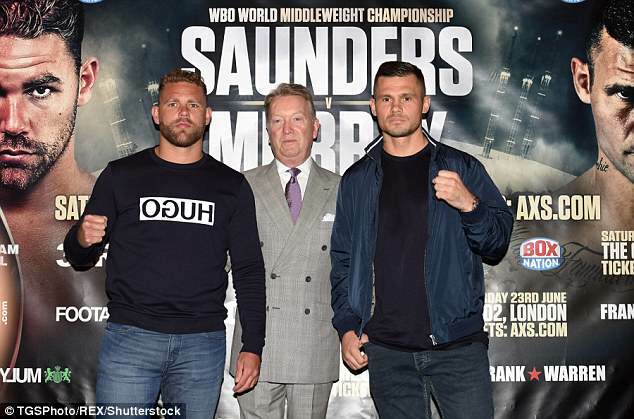 I don’t rate him as a fighter at all,’ said 28-year-old Saunders, who is preparing for his rescheduled title defence against Martin Murray in June. ‘Even if he beat Golovkin (in the future), I wouldn’t class him as beating him because I still look at him as a cheat. ‘I don’t agree with what he’s done. And I think it’s a disgrace for boxing. 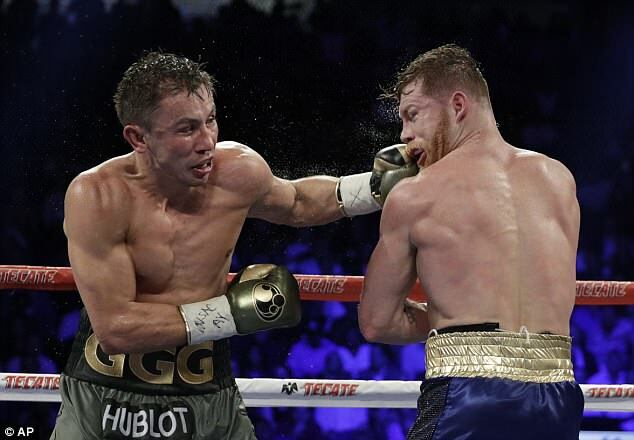 Alvarez, who twice tested positive for clenbuterol, was scheduled to re-enter the ring with Golovkin on May 5 after their initial meeting in September finished in a draw. The unbeaten Kazakh – who holds the WBA, WBC and IBF middleweight belts – will instead take on American-Armenian Vanes Martirosyan on that date. Saunders’ promoter Frank Warren is unhappy that Alvarez could face Golovkin later this year when the 27-year-old’s ban, which was backdated to February, has been completed. ‘They’re going to fight in September, it’s ridiculous,’ said Warren. ‘For me, if you’re found guilty, you should be banned (for life). To be banned for six months, I don’t get that. 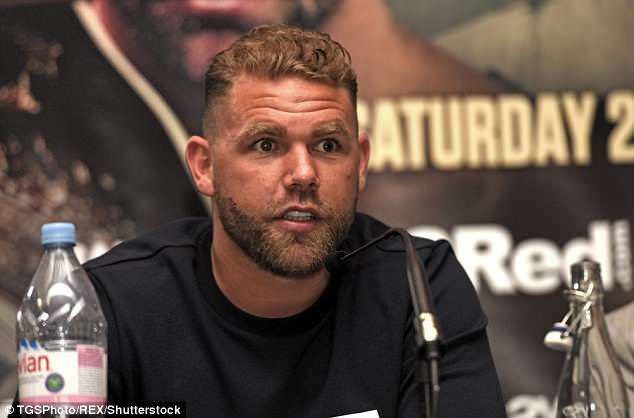 Saunders, who was initially due to fight Murray 10 days ago but had to postpone because of a hand injury, has won all 26 of his professional fights. He has repeatedly expressed his desire for a world middleweight title unification fight against Golovkin, although he insists he is currently fully focused on his June 23 meeting with Murray in London. Fellow Briton Murray, who will make his fifth challenge on the WBO belt at the O2 Arena, was similarly unimpressed with the punishment handed to Alvarez. ‘It’s a load of b******s, isn’t it? Anybody else, not as high profile as him, would have got a two-year ban,’ said the 35-year-old.